Other information Stock Code (GH975),,Model Year 2013,,Reg No. 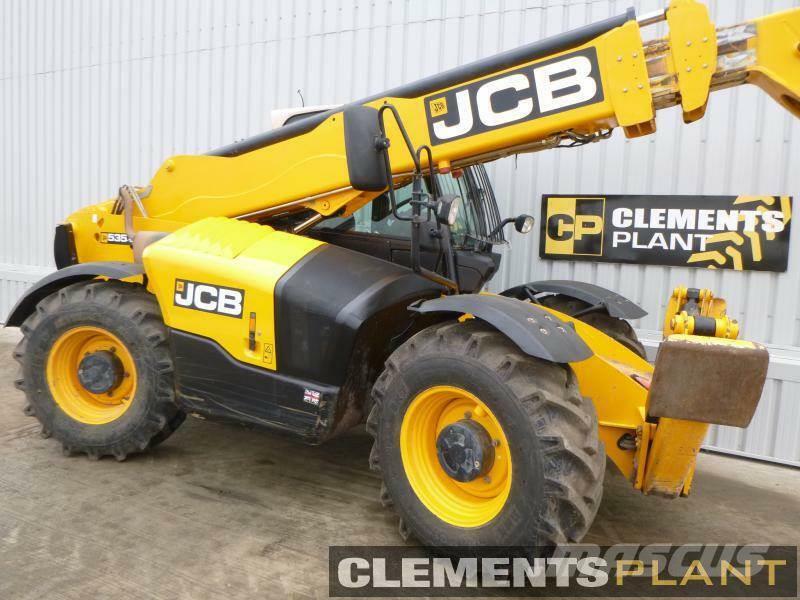 KX13 BOU (17/04/2013),,JCB T4i 4 Cylinder 74hp Turbo Engine,,4x4,,Powershift,,Standard Controls,,Rear Towing Eye,,3rd Service,,15.5/80-24 Wheel Size All Around,,NEW BKT Front Tyres,,50% Good Back Tyres,,Legs,,12.5m Reach,,3500kg Lift Capacity,,2WS/4WS/Crab Steer,,JCB Keypad Immobiliser,,Flashing Beacon,,Operators Manual,,Forks,,1x Black JCB Key,,,,Ex-owner operator, used on a small building site for general loading purposes. Sold due to buying new. On Mascus UK you can find JCB 535-125 Hi-Viz telescopic handlers. The price of this JCB 535-125 Hi-Viz is - and it was produced in 2013. This machine is located in - United Kingdom. On Mascus UK you can find JCB 535-125 Hi-Viz and much more other models of telescopic handlers.